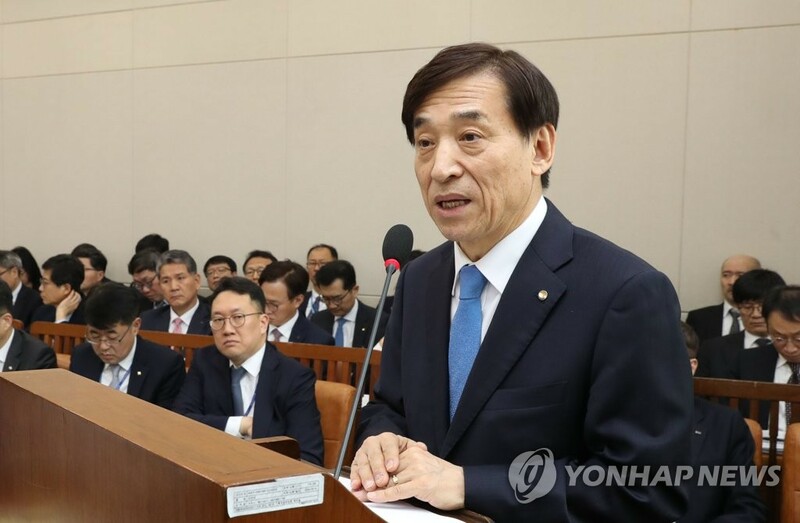 SEOUL, March 25 (Yonhap) -- South Korea's central bank chief said Monday that Asia's fourth-largest economy seems to losing steam amid signs of a global economic downturn. "The South Korean economy saw its growth pace fall due to sluggish exports," Bank of Korea (BOK) Gov. Lee Ju-yeol said in a parliamentary session. "Uncertainties stemming from external downside risks are also high and affecting the country's growth." Exports, the country's key economic driver, have been on a decline since December last year, and the general slowdown in global trade, coupled with persistent trade tensions between the United States and China, is also throwing cold over South Korea's export-oriented economy. Moreover, in New York, investor sentiment has dampened on a gloomier outlook for the world's largest economy due to a reversal of bond yield curves. Gov. Lee said rising economic concerns sparked volatility in the global financial market, which may have an impact on the local financial market. "In the future, monetary policy will be accommodative as a way to support economic growth," the banker said. He said more expansionary fiscal policy is needed to reach the target growth of 2.6-2.7 percent for 2019, supporting the government-led supplementary budget plans. But last year's 430 trillion won (US$378.8 billion) budget was not expansionary due to unexpected, record-high tax revenue, he noted. "From a macroeconomic point of view, it is necessary for the fiscal side to play a more active role," said Lee. "An extra budget of some 10 trillion won would help boost economic growth." Earlier this month, the International Monetary Fund (IMF) suggested the South Korean government map out a supplementary budget worth 5 percent of its gross domestic product, estimated at 9 trillion won, to meet the growth target.